A tried and true guitar prodigy comes to Erie. "The wonderful thing about the acoustic guitar is it's really just a wooden box with strings on it, so you can create all sorts of different sounds … the sounds of a drummer, a bass player, a rhythm guitar player, and even, like, a piano." 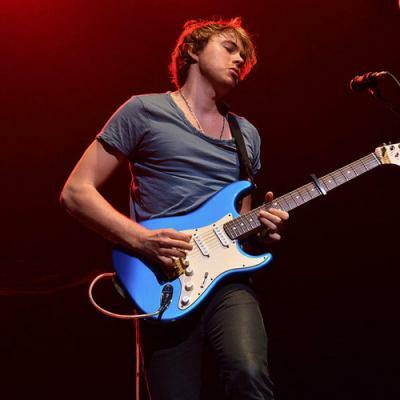 Australian guitar virtuoso – check that, visionary – Joe Robinson said that all the way back around 2008, when he was only 17, on a straight-shot performance video I found posted on YouTube. In the handful of years since then, Robinson's been playing all over the world, getting spotlighted from all angles, and showing that he says what he means, and means what he says, about that wooden box with strings. Having landed top spots on live-performance features like Australia's Got Talent and innumerable accolades from all over the international guitar community, Robinson displays the playfulness of Keller Williams, the adventurous spirit of John Fahey, and the technical acuity of Tommy Emmanuel, all mixed in with the whispers of other guitar greats to create a fusion very much his own. 8 p.m. Saturday, May 2 // 1505 State St. // paca1505.com.